Deluxe Edition The Walking Dead Michonne Sword Katana With Wall Mount and Poster. Officially licensed replica of Michonne's katana sword from "The Walking Dead" 1045 high carbon steel blade. 40-1/2-inch overall length. Handmade swords are designed and look just like all other swords. However, their construction is totally different. Handmade swords are made by craftsmen and smiths. These people who work with metals make them go under a very long and complicated process by heating metals at high temperatures and then molding and hammering them into the swords they want to design. Not an easy process. Right? A lot of factors are kept in mind by smiths while constructing these swords. Strength, flexibility, balance and hardness are the most basic of them and are quite difficult to get in handmade swords. These swords have more details than the other ones and are appreciated for their genuine craftsmanship and intricate details. 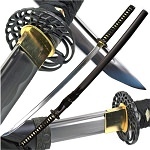 Wholesale Blades stocks the most precisely and impressively designed handmade swords for sale. 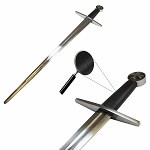 Our handmade swords are the best among all and are designed from the finest materials. They are designed with precision and are quite hard-core. Our handmade swords for sale are very strong and durable. They are crafted by hand but still they are very balanced, hard and flexible. No one can question the construction of our handmade swords because they are made by true and top-notch smiths. 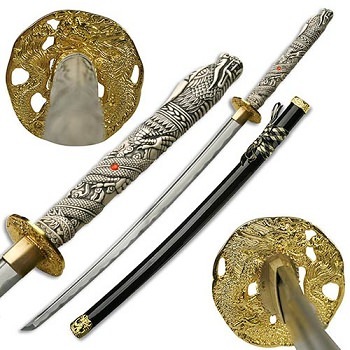 Our handmade swords for sale are very beautiful and depict the designs in a very realistic way. Want to know about the stunning pieces we have? 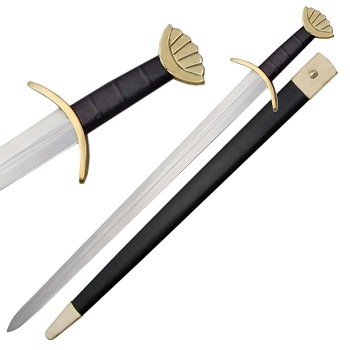 Wholesale Blades stocks the classical Medieval Viking sword, the Crusader sword, the impressive Walking Dead sword, the renowned Highlander sword and so many others. Are you thinking about the blades of these handmade swords? Kinda worrying that they may not be good enough because they are handmade? There is no need to worry at all as the blades of our handmade swords are one of their specialities as they are quite sharp, battle-ready and are made up of the best stainless steel. Being highly durable, our handmade swords for sale are quite hard to be outmatched. These handmade swords for sale are quite magnificent and will look glorious on your walls and will prove to be a superb addition to your swords collection. As if the swords were not enough already, we also provide scabbards and belts with them. These are the true masterpieces which we offer you at the lowest possible rates. So, browse our collection of exceptional handmade swords for sale and have your pick at the most reasonable rates. 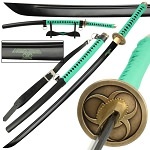 Wholesale Blades is the dropshipper and wholesaler of the best handmade swords available at very low rates. Our handmade swords are the best among all and you will definitely not want to miss anyone of them. These impressive handmade swords capture the heart of everyone - swordlover or not. Also, we have an amazing wholesale offer going on as well. Grab six or more pieces of the same handmade sword from us and get 20% OFF that sword! Yes, that’s true! We also have something for those who are into drop shipping business as well. Wholesale Blades offer 100% FREE Membership and Dropshipping services to its customers. 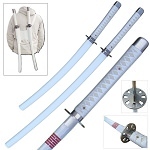 Browse our collection of awesome and ultra-durable handmade swords and order now to avail the fastest shipping of one business day only.